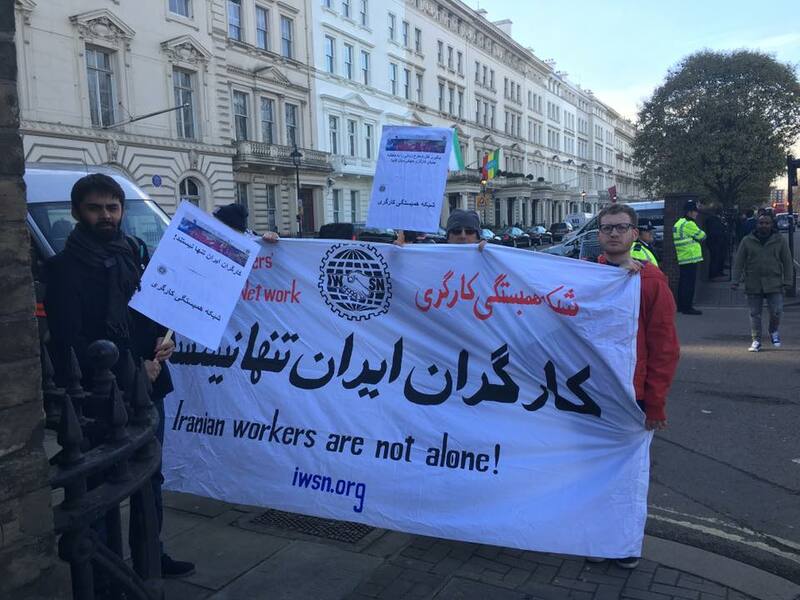 Today, Tuesday, February 23rd 2016, comrades of the Workers’ Action Committee in Alborz province distributed leaflets in support of Amir Amirgholi, a political prisoner. On February 19, as part of the ‘active boycott’ of the parliamentary and Assembly of Experts elections helped by Not One More Execution and I Field Good, a number of Workers’ Action Committee comrades put up posters in one of the busiest areas of Kermanshah (western Iran). These posters, featuring five political prisoners and Shahrokh Zamani, had earlier been suggested to the Committee for distribution. 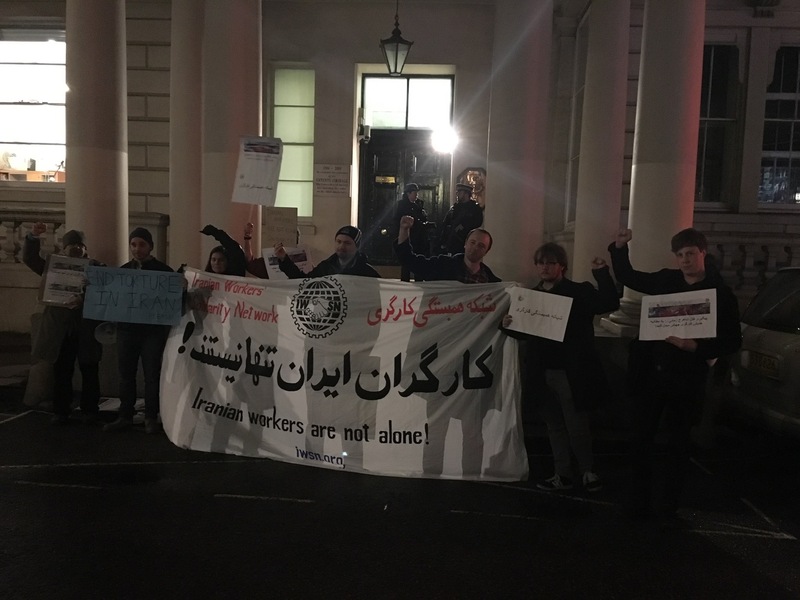 To protest Hassan Rohani’s official two-day visit to France and the Rhône-Alpes area, a group of activists picketed the London embassy of the French Republic.